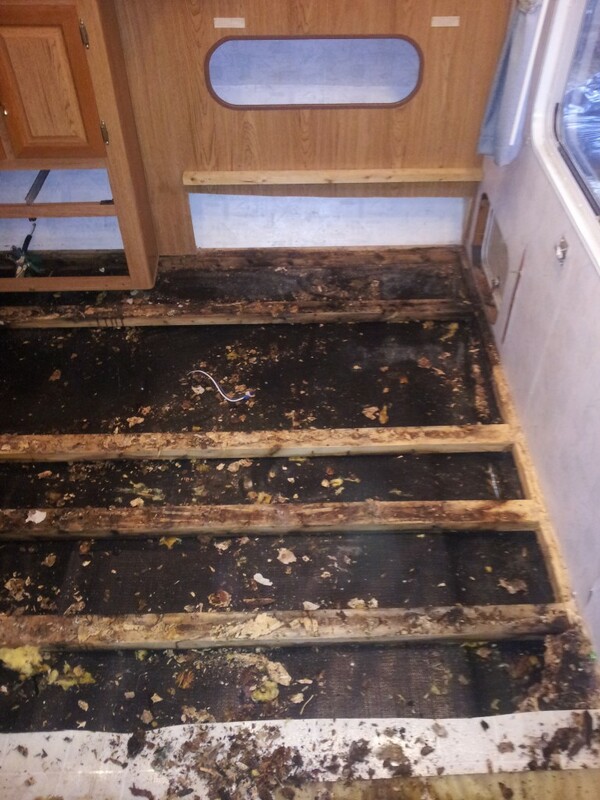 I started removing things, to access the rotted floor in the 2653 today. I'll let the pics tell most of the story. I got some 2x2 plywood pieces, to help distribute some of my weight. To get the forward dinette seat out, I had to disconnect the LP detector. 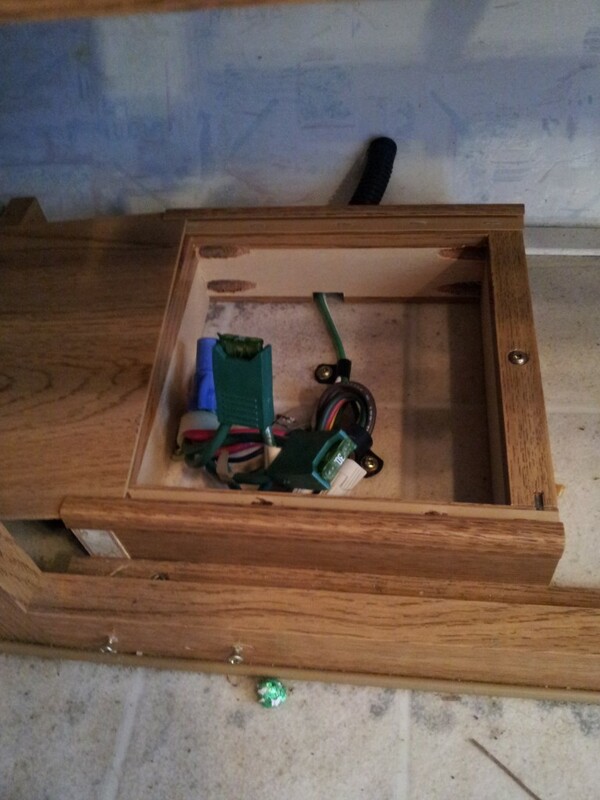 I also removed most of the drawers and hatches. 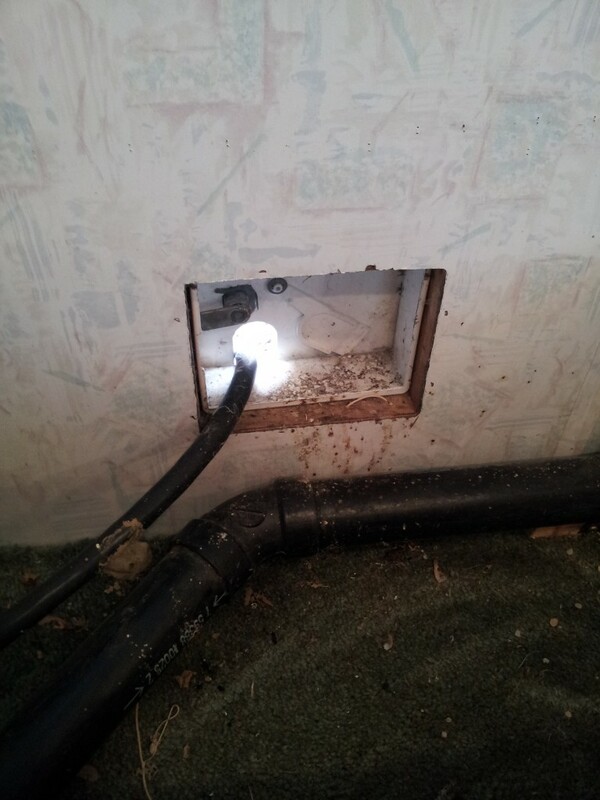 The junction box for the 7-way plug was behind one of the hatches. 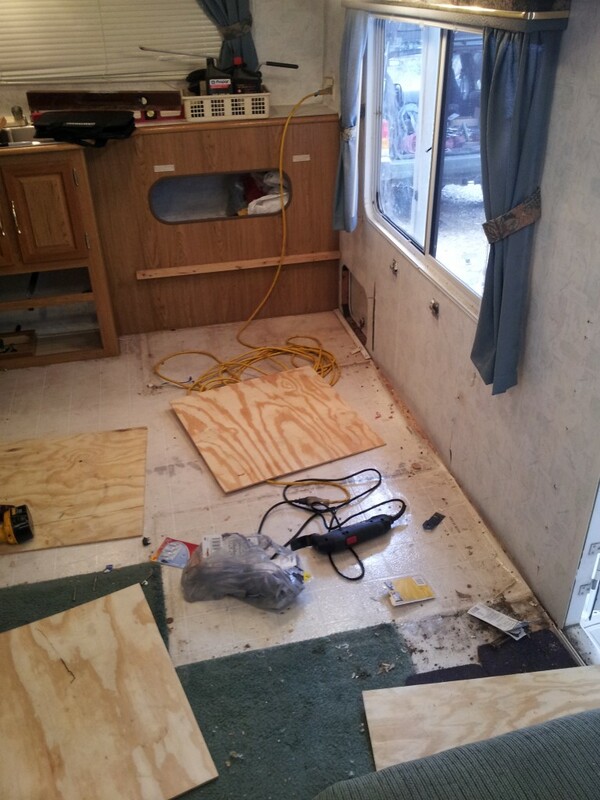 The wallboard wasn't severely damage by the removal of the dinette. Having removed the dinette from the T-299SR, I knew what to expect. This was the worst damage. If the dinette goes back in, most of this will be covered. I did keep the paper that was torn off. From there, I attacked the jacknife sofa... Four screws and it was out.. 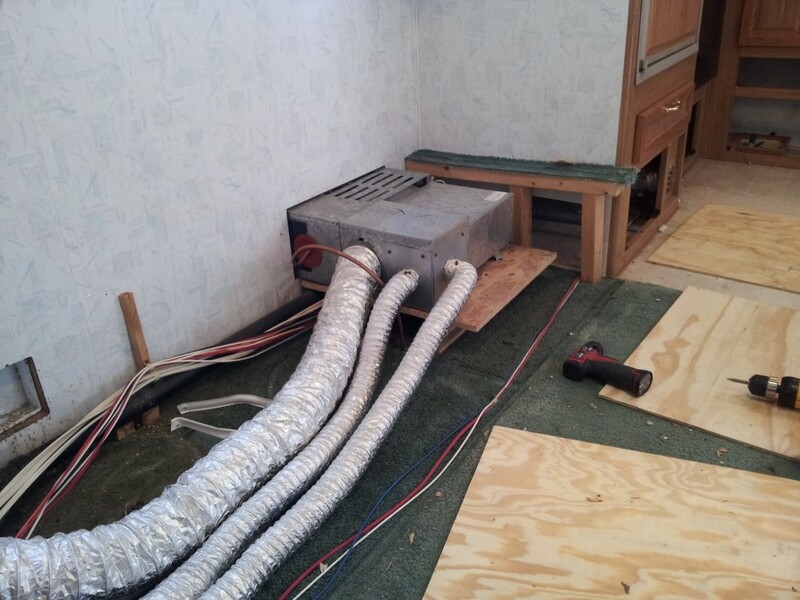 The furnace is to the right and the power cord box is to the left. 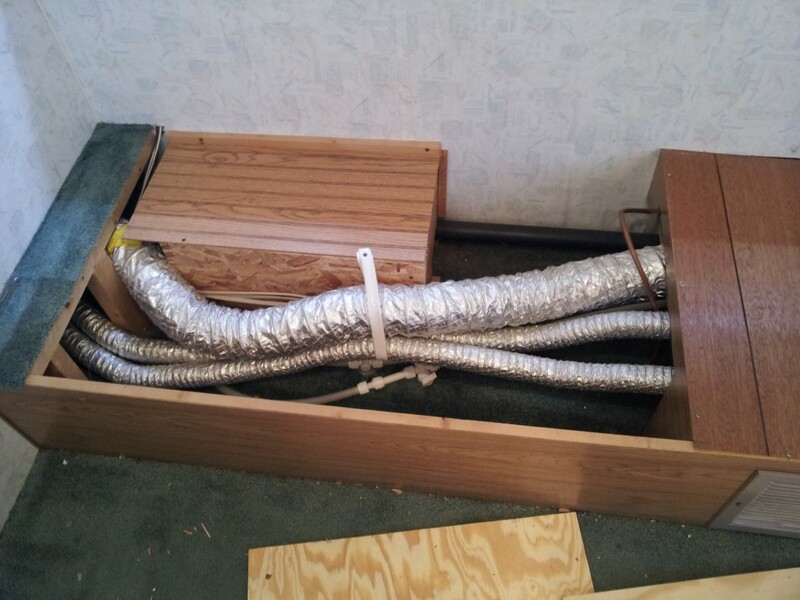 The 2653 low point drains are located under the heating ducts. 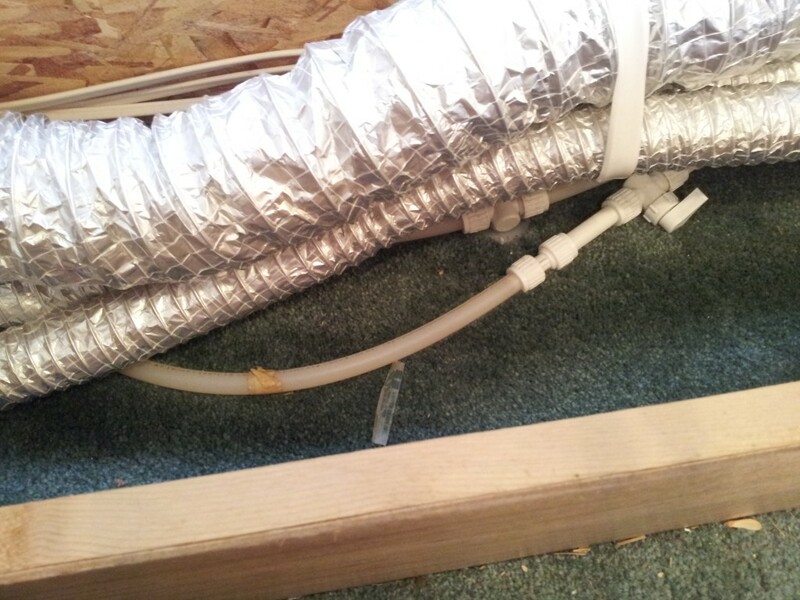 I was pleasantly surprised to see white PEX in there, instead of the polybutylene! Someone must have left the cord door open.. Birds may have nested in it. I also found a couple of mud dauber's nests.. I removed that power cord box, since I will be putting the detachable power cord on anyway. I got as much of the couch framing off as I felt necessary (For now). Once all that was out, I started pulling carpet up. 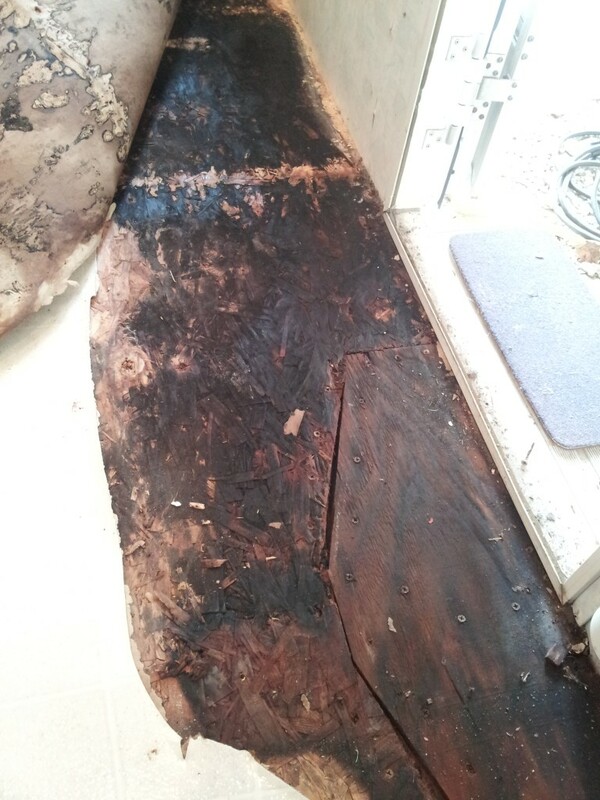 The carpet itself is dry, but the wood beneath the linoleum isn't! You can see a previous repair, just inside the door... Guess he left the door open more than once. BTW: Hey Jon... 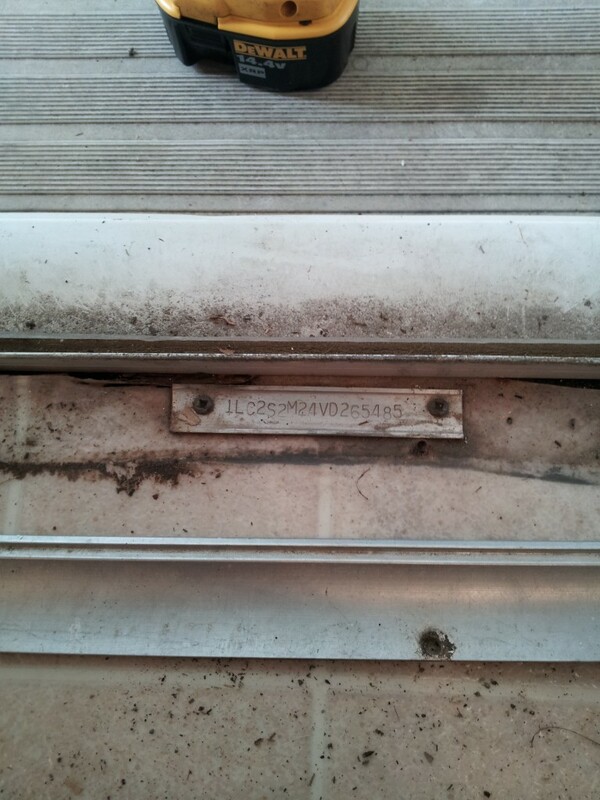 The door sill VIN plate is still intact! They got cheap sometime after 1997... The 299 had a Dymo label VIN plate..
That's all I got done so far... More to follow! Boy oh boy that is bad. Hopefully it doesn't continue too far. Yes, the VIN tag was metal up through about 2001/2002. They got away from the metal tongue tags too, and they went to those labels at the same time. Wow you have already done a lot of work. 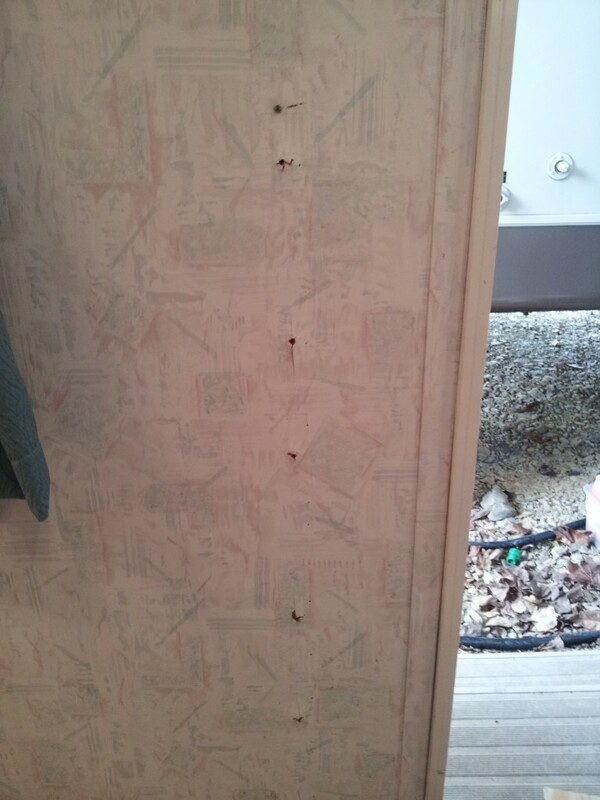 Since the oscillating tool was useless, how were you able to get the dinette out without making large holes in the wallboard when you pulled the screw heads through it? This looks a lot like how things have been going at my house. 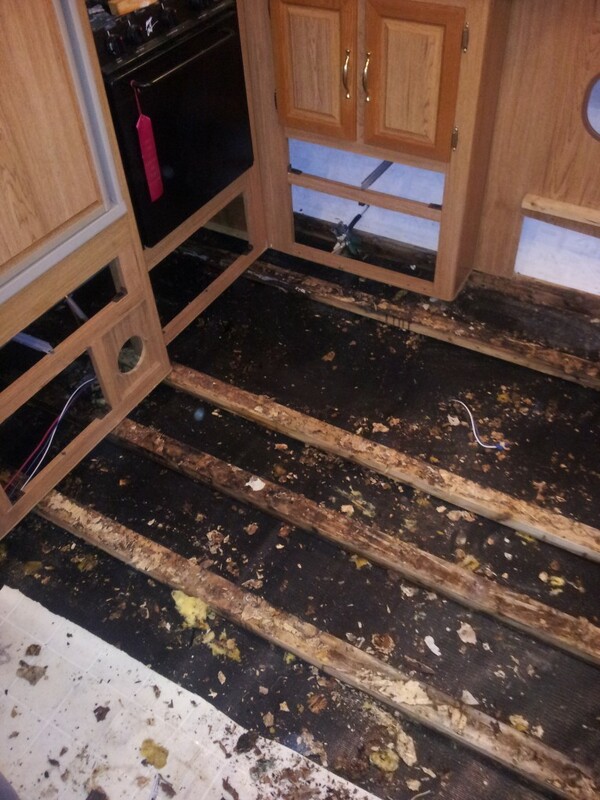 I finally got the floor all cut out and reframed, took the door off so I could get the floor back in the way I wanted it, put a tarp over it temporarily, and then had a ridiculous thunderstorm that forced in more water and, yep, ruined more floor. We used an oscillating tool to remove some of the flooring, with success, but some blades are WAY better than others. Thanks for these pictures, please continue to post repair pictures if you are able, so I can learn from you. I pulled very gently.. The holes are there, but most of the paper did not tear off. 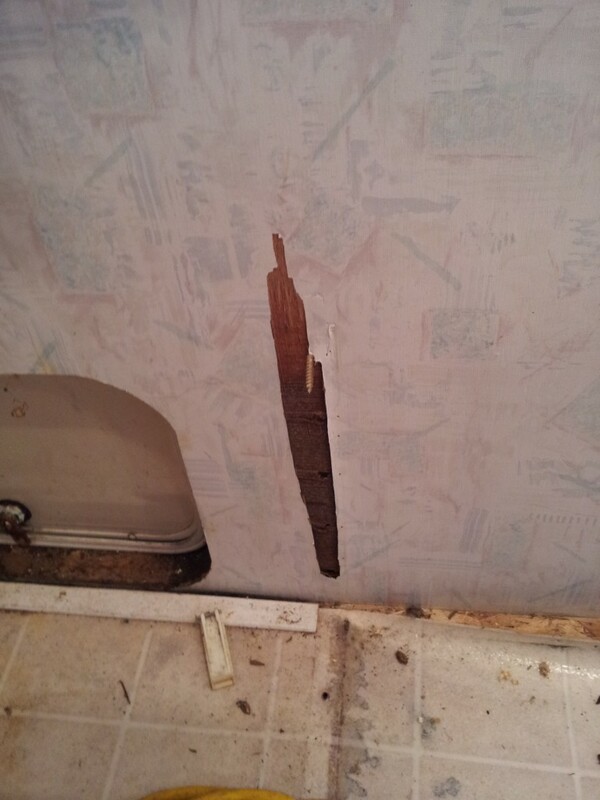 Most of the screws only went through the wallboard. There were large screws at the top of each bench back, that I was able to pull out of the wood, instead of through the wallboard. I'll just cut them off flush with the wall. Which blades did you find most useful? I hope to not find out by trial and error. That gets expensive! I'll keep snapping pics along the way..
And here I sit in the house in a recliner missing out on all the cutting and removing. Guess I'll just have to think of things while I'm in here. Now that really should not be all that hard to do. Guess I could make a "short" list of things that need to be out in 'ole #19. 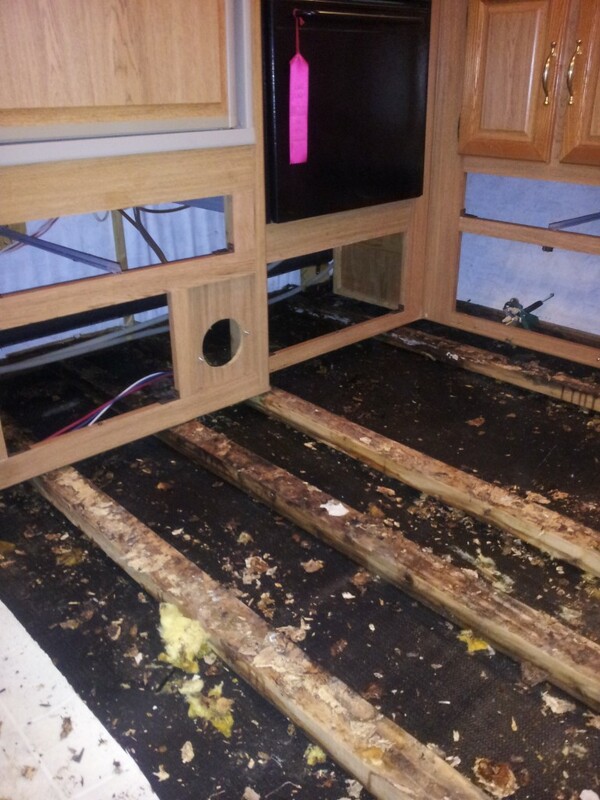 Garys' floor repair has probably turned into a major project by now, knowing how well he will want to repair it. 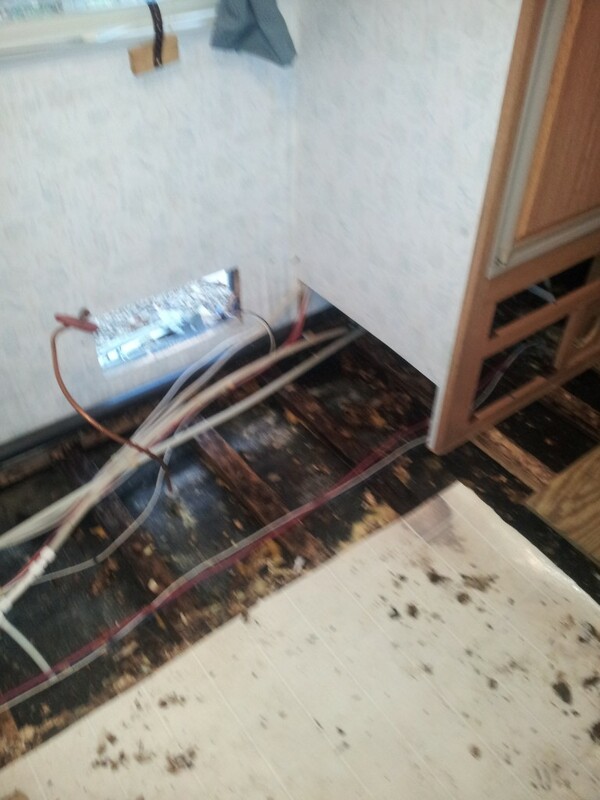 Thankfully the interior of the trailer is basically clean, just a slight "wipe down" to make it feel like ours. Stock it mostly with disposable plates, bowls, etc., some bed linens, towels, cheap set of silverware, pots. Too bad most yard sales are over with. Add to contents as we see fit, don't need it stocked like the 5th wheel. A bit of progress today and some good news.. I started where the left side of the couch sits and worked my way around the front. I removed the couch supports and pulled the low point drains up. Next picture is a bit blurry... Oops... 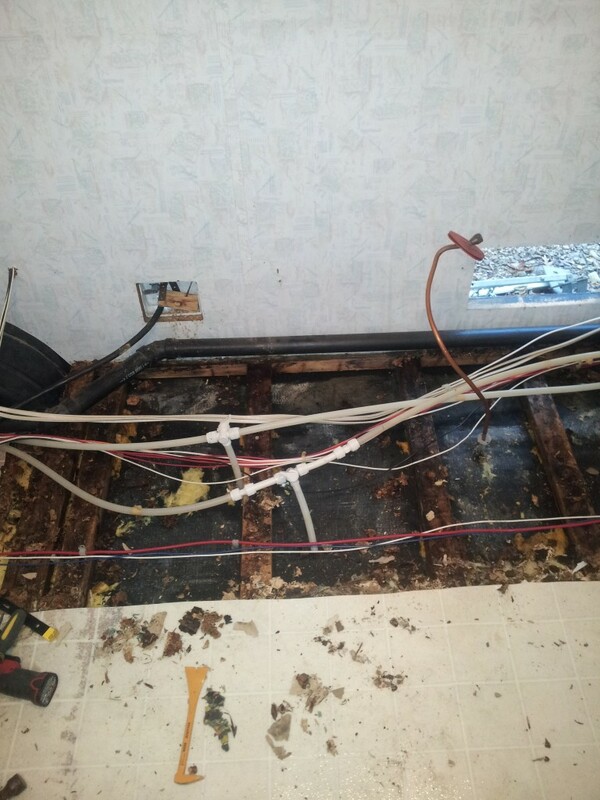 I removed the furnace and that allowed me to get all the flooring out of that area. The drawer hardware below the oven and fridge came out and I started removing the floor in that area. The OSB was so bad, that I was able to get most of it by hand. What gave me the most trouble, was all the screws, staples and carriage bolts everywhere. I'm not yet sure what the carriage bolts are for, but I'll have to wait until I get under the trailer to find out. The front of the trailer gave me the most trouble. 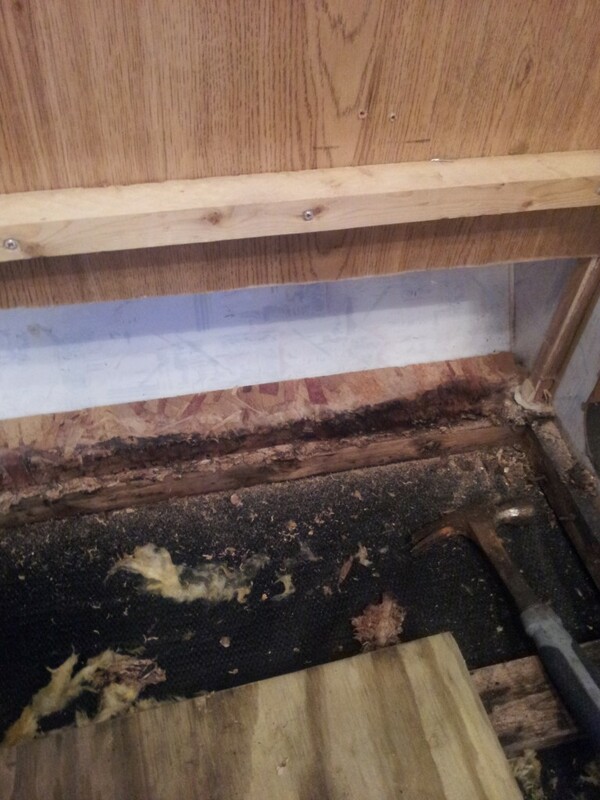 Reaching everything was a real pain... You can also see one of the floor joists removed. That one was broken and had to come out. The area to the right of the sink, had no access to it. 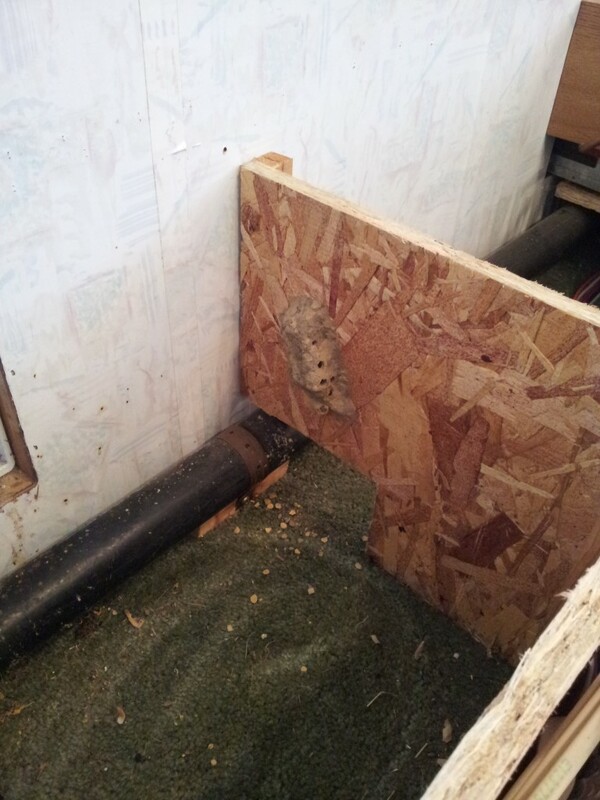 Not wanting to leave any wet OSB in there, I was forced to cut a hole in the paneling. 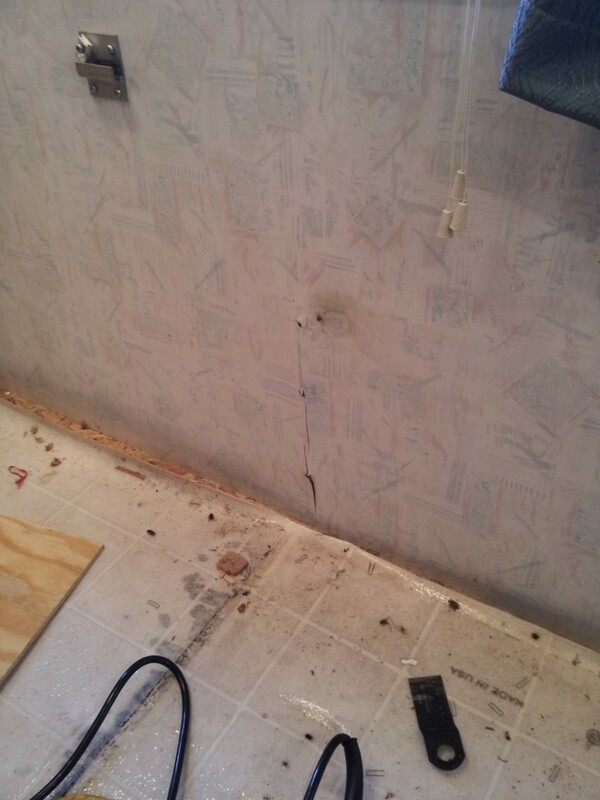 That hole will be covered by the dinette seat. In this picture, you can also see my stroke of luck... Look along the side and front walls. You can see that the floor does not go under the wall, but fits up against it. 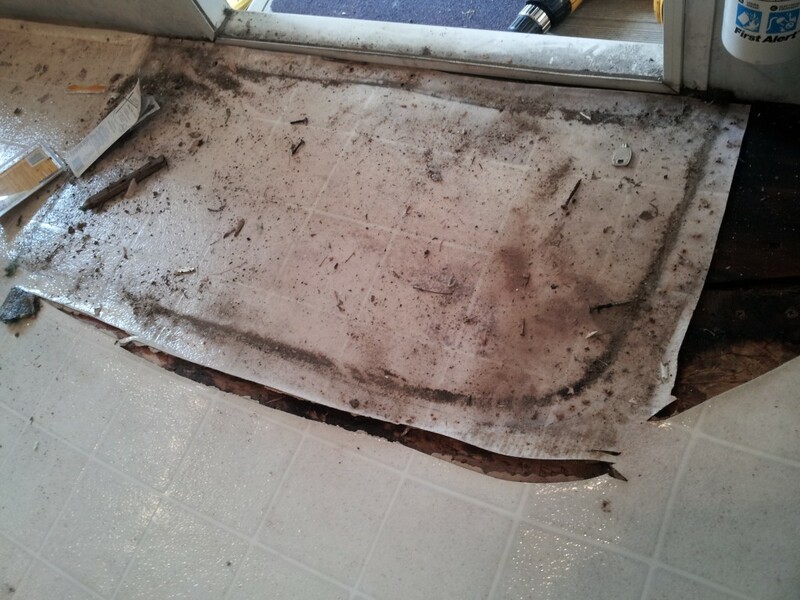 When SunlineFan did his 270SR, he had to remove the lower piece of siding to access all the flooring. In my case, I can get to all of it from inside the trailer! It's a good thing too... This one has fiberglass siding! I couldn't believe that I actually found good OSB... It was hiding all the way in the front! 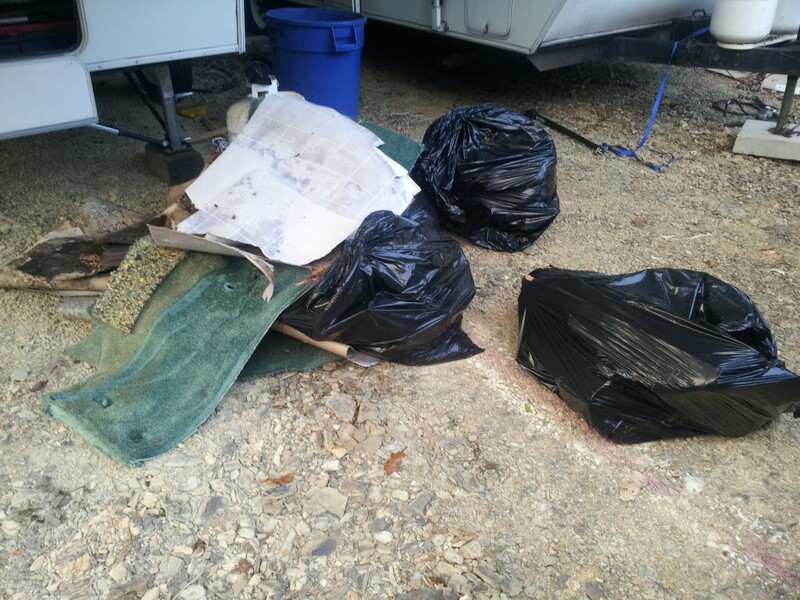 Here's my trash pile so far... With all the water weight I've removed, I'd be willing to bet that the trailer was well over it's GVWR when I brought it home! I'm making progress, but wish it were a bit faster.. I want to get my honey out camping in her new Sunny ASAP! Forgot to mention that I think I found another place, where the water was getting in. When I was under the oven, I saw waves in the wallboard. This Sunny has a Ventline range hood and has the exterior vent. I've been told by Kitty, that they are notorious for leaking. I ordered a new one and will install it properly. I'm glad to see the floor is designed differently! That would be a real pain to have to do something with the siding. I had a similar pile after tearing mine apart! I'm also planning on sistering the floor joists.. Since they don't support the weight of the shell of the camper, they should be fairly easy to do. Also, I seem to remember I had a few long carriage bolts. I believe they held down the floor/walls to the metal frame side arms. I seem to remember in that front corner, I had two or three of them just in that short area. 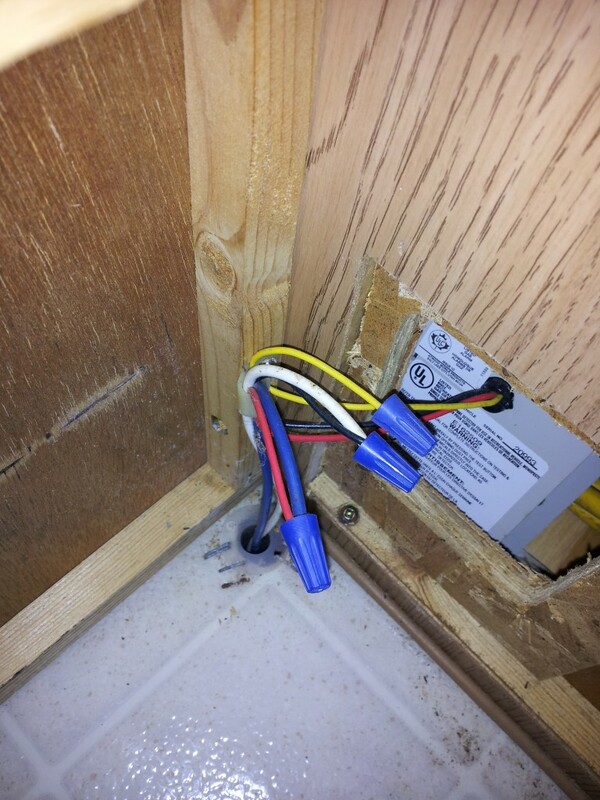 They went through the bottom 2x3, then through the floor board, and then through the metal part. BTW: I'm also going to use treated plywood, instead of OSB... OSB uses a water based glue and really has no place in a camper!